Niseko is fast building up a reputation as an all-year holiday stop – meaning the once farming Japanese town in Hokkaido is open for business and ready to serve fun experience anytime of the year. There is no denying Niseko is now an option during the summer break but make no mistake, the ski resort town maintains a rock-solid reputation as the place to go-to in Asia when the winter snow sets in. Winter in Northern Japan sees its peak starting in the month of November and extending through February the following year. But in most cases, the snow remains steadily blowing until late April or even early May and the result is the magical powdery snow that can only be found in Hokkaido. In fact, seeing and touching this unique Japanese snow is one of the reasons Niseko is an irresistible proposition for that long-planned winter vacation. Japow is generated thanks to the Siberian wind mixing with the moisture that prevails over the Sea of Japan. The same natural confluence is responsible for covering Japan’s northern tip with a variety of snow that a BBC article described as unparalleled “for the quality and consistency of its light, powdery,” texture. 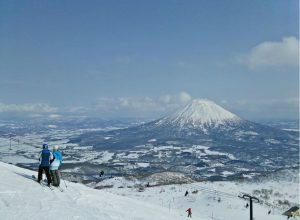 As mentioned, the Japanese snow usually keeps pouring until April or May, which makes for springtime skiing or snowboarding experience for Niseko visitors. 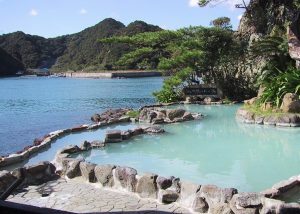 In this part of Japan, tourists will not miss the chance to take a dip on a hot spring, which is known locally as onsen. As part of Niseko’s après-ski menu, onsen is prized for its relaxing effect that is to die-for following hours of skiing. 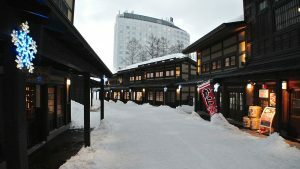 To get a different flavour of onsen, BBC recommends the Niimi Onsen “for a quiet, lantern-lit outdoor bath often cocooned in winter by an overhanging snowbank.” But know that Niimi is but one of the several onsen offerings found in and around Niseko. Like its ski resort counterparts around the world, Niseko has its own brand of après-ski, which basically is the social life integrated with the skiing culture. A prime example is the world-class dining options in the area. One of the best places for this is the Ezo Seafood restaurant where diners are served snow crab legs, Akkeshi oysters and a variety of fresh sashimi – all sourced from the rich Hokkaido coastline. 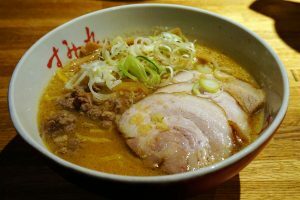 To go with this gastronomic treat is moderate intake of any of the two – mulled wine or Hokkaido whisky – that should help in avoiding indigestion in case one had too much servings. In Niseko, tourists have a wide array of picks to go on skiing. 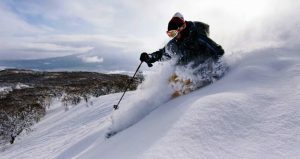 On this, the easy choices are the Annupuri, the Niseko Village and the Grand Hirafu where skiing trails are suited for beginners, intermediates and experts. In the latter or Grand Hirafu, a combination of night skiing and ungroomed japow makes for a more adrenaline-pumping skidding on the snow slope. For beginners though, the best place to start is in Hanazono where the Strawberry Fields trail was naturally designed for newbies on the snow-based sports. 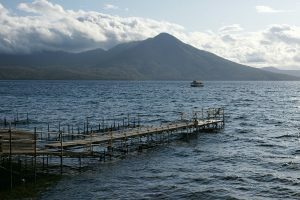 It is an understatement that Niseko overflows with the most interesting place to see but if one must need to pick on the best spot to go, readily it has to be Lake Shikotsu. It is located within a national park and approximately a 2-hour drive from Hirafu. As the second-deepest lake in Japan, Lake Shikotsu is famed for its crystal-clear and bone-crunching cold waters, which suggested that the lake is best admired from a distance. This can be achieved from the numerous outdoor baths or onsen around the lake that provides a breath-taking view of the prehistoric caldera. Another sight-seeing option is the Ishikari Bay that BBC says will prove enchanting for its “picturesque canal, glassworks studios set in vintage slate buildings and the entire street of Sushiya-dori devoted to sushi shops.” From Hirafu, getting to the bay will only require over an hour of driving. 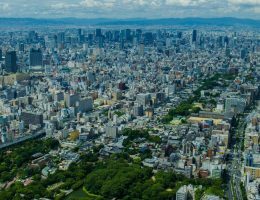 Sapporo, capital of Hokkaido, is the fastest gateway to Niseko and the city can be reached through commercial flights that originate from Narita or Haneda Airport. 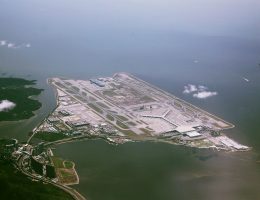 From the New Chitose Airport in Sapporo, the travel will shift on the road – by bus or shuttle services provided by travel agencies – and the journey will last two hours and a half. 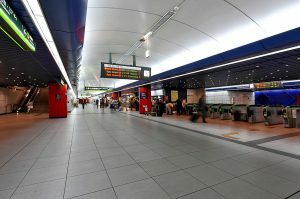 Visitors can opt for the train but the one-way trip alone from Tokyo will take eight hours and will translate to fare cost of around $245.